Donate: Guarantee Your VIP Seat at our 21st Anniversay Showcase. RSVP your seat for our 21st Anniversary Showcase Wed. April 3, 2019, 6:30 pm - 8:30 pm at the MFAH Brown Auditorium 1001 Bissonnet, Houston, TX 77005. Admission is free, but this rsvp will guarantee your seat. Reception and book signing in the MFAH Cafe. Your support for Latino culture keeps us going and let's us know that our work is vital to you. Celebrate our next birtday with us. Donate $1 for each of our birthdays for a total of $21. Admission to our 21st anniversay showcase is free, but we can RSVP a VIP seat for you and a guest if you donate $100 and become member of the NP100 club. We will thank you on the NP Radio Show. You have a reserved seat for you and a guest at our April 3, 2019 showcase at the Museum of Fine Arts Houston's Brown Auditorim. You will also be a VIP guest at our reception following our literary showcase. If you can't use your seat, you can donate it to a student. 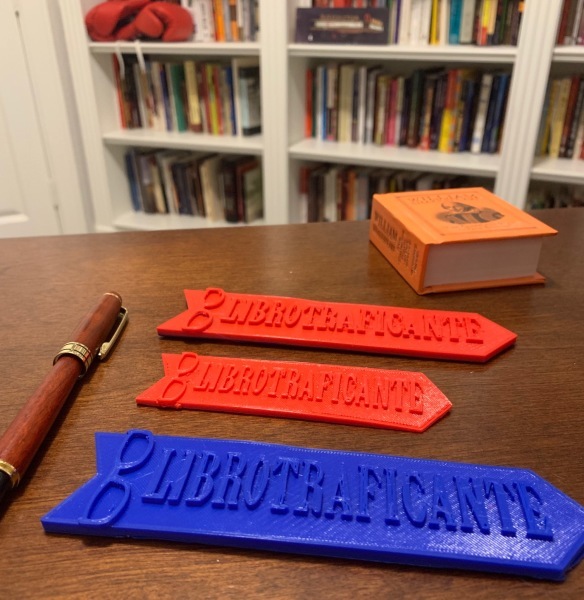 You will also get a recieve a 3D-printed Librotraficante Banned Book Marker. The Librotraficante Book Marker is not for sale anywhere. You can only get one through Nuestra Palabra the same way that we have been delivering unique literary experiences true to our community for over two decades. You have a reserved seat at our April 3, 2019 showcase at the Museum of Fine Arts Houston's Brown Auditorim. Click here for the full lineup. If you can donate at the $500 level, you will become an NP Arts Patron. 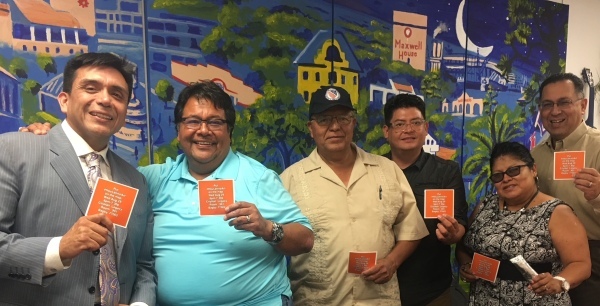 This is a great way to not only support Latino art culture, but you will also send the message that you care about literature and the future of art. RSVP 2 VIP Seats to our Anniversary Showcase. A free signed copy of 2 books from our featured authors of the evening. You will be thanked on air. You will be listed as a NP Arts Patron. You will be recognized at our anniversary showcase.